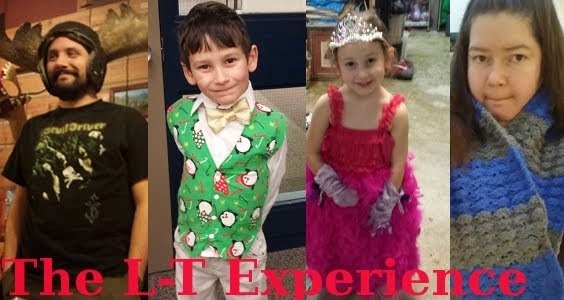 The L-T Experience: Welcome December! Thank you to my aunt Anita who reminded me that it's December 1st - time to pull out your Tawny Bee Advent Calendars! I went digging into our box of Christmas decorations and found the gingerbread man Advent calendar that I made for Logan last year. He's going to be so excited when he gets home from grocery shopping with his dad. Not only does his count down the days to Christmas, but it also helps him keep track of the days leading up to his birthday. Can you believe my little boy is going to be 4 this year? Time flies. Why not count down the days in style? My aunt says that Devin was very excited to put up his Tawny Bee advent calendar this year. In fact, he even took it to show and tell today. Awesome! If you would like to make one of these fun Advent Calendars, please check out the tutorial I posted last year. Or if you'd rather order one for yourself let me know by commenting, or sending me an email (link in my profile) or dropping by my fanpage, or phoning or sending smoke signals (whatever gets my attention) I'd certainly hop to it and whip one up. 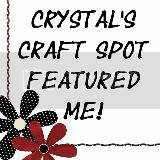 I've got a hot glue gun trigger finger lately anyway, so I'll take any excuse to craft! You might miss a few days of Advent action, but these last for years and years, so you'll have lots of time to enjoy.